Gunner, Royal Field Artillery, 27th Bde. Four Rance brothers served in the Great War: Bernard, Charles, James and Richard. William Arthur Rance, whose connection to the Lambeth Rances is unclear, also served. Spring 1915 must have been a trying time for their parents, William and Sarah Rance, with two sons attesting in March, another in April and a fourth in May. Sadly, two years later, in March and June 1917, the youngest two, Bernard and Charles, had been killed. 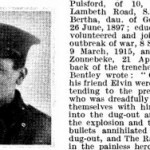 He volunteered in March 1915 and in the following December was drafted to the Western Front, where he did excellent work as a Gunner at Ypres, the Somme, the Ancre and Arras. He gave his life for the freedom of England in March 1917, and was entitled to the 1914-15 Star, and the General Service and Victory Medals. 155, Hartington Road, South Lambeth, S.W.8. 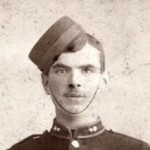 RANCE, C.F., Rifleman, 6th London Regiment (Rifles). He volunteered in April 1915 and in the following September was drafted overseas. Whilst in France he fought in many engagements, including those on the Somme and at Arras. He gave his life for King and Country at Vimy Ridge on June 7th, 1917, and was entitled to the 1914-15 Star, and the General Service and Victory Medals. RANCE, J. W., Sergt., King’s Royal Rifle Corps. 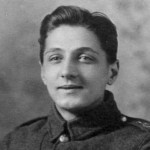 He had previously served in the South African War and in May 1915 re-enlisted and was drafted to France in the following March. During his service on the Western Front he fought on the Somme and at Richebourg, Bapaume, Givenchy and in many other engagements until the cessation of hostilities. He was demobilised in March 1919, and holds the General Service and Victory Medals. 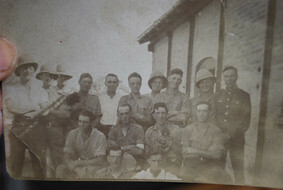 James Rance joined the Army in 1900 and saw service in South Africa and India. In 1905 he was invalided back to England suffering from malaria and ague (rheumatism). He appeared on the 1911 census aged 33 and working as a barman in a hotel. At this time, he had been married to Elizabeth Rance for 5 years and they had one child: Edward James Rance, born about 1908 in Lambeth. The family lived at 40 Bolney Street, a few doors down from James’s parents and the other children at home. However, by 1915 he had moved to 11 Clyston Street, just off Wandsworth Road. James’s second Army career, serving in the King’s Royal Rifles during World War One, must have been testing, as this army was largely volunteers and conscripts. When he joined up, in May 1915, he was already 36. He rose quickly to Lance Corporal, to Lance Serjeant, to Corporal, to Serjeant. However, on 13 March 1917 he was punished for “disobeying a lawful command given by his Superior Officer.” His sentence was to be reduced in rank to Corporal. 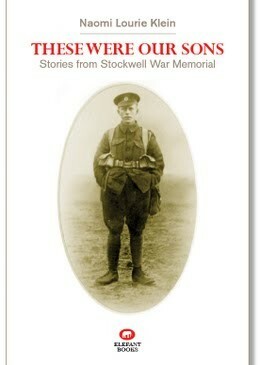 In April he was transferred to the Middlesex Regiment, and then in June to the Labour Corps. His character was described on demobilisation as “very good”. 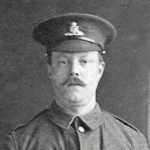 He volunteered in May 1915 and in the following December was sent to France. During his service overseas he was frequently in action, notably on the Somme, the Ancre, and at Ypres, Arras, Cambrai and Peronne. He was demobilised in March 1919, and holds the 1914-15 Star, and the General SErvice and Victory Medals. 3, Madrid Place, Dorset Road, South Lambeth, S.W.8. 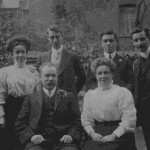 RANCE, W. A., Private, 24th London Regiment (Queen’s) is also described in the National Roll – he has no connection with this Rance family. Agnes Rance, 23. The census transcript gives her occupation as “Surrey bank iron”. It is unclear whether this is something to do with the Surrey Iron Railway, a narrow gauge railway which ran between Wandsworth and Croydon or whether she was an ironer. In all, William and Sarah Rance had nine surviving children, of 18 born alive. 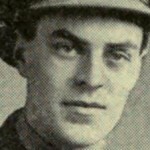 Richard Havannagh, a 24-year-old single bricklayer’s labourer from Peckham, boarded. “William and Sarah Rance also had a daughter called Emily. She shows on the 1891 census aged 5. She was my grandmother, my mother’s mother. On the 1901 census she is shown working as a domestic kitchenmaid for a 56-year-old widow lady, Sophia Gregory, at 23 Wilkinson Street, just around the corner from Bolney Street where the rest of the family were living. “Emily was a feisty lady, very strong and independent. She married William Lowton (who lived with his family in Dorset Road) and they sailed to Canada where my mother was born in 1909. I have found the family on the passenger lists. 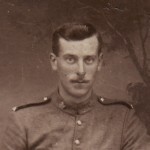 William Lowton joined the Canadian Expeditionary Force and I have his service record. The story in the family was that he died of the Spanish flu after the war, and my grandmother, my mother and her two brothers came back on their own. I have looked in Canada and England for a death certificate for William Lowton but so far have not found one. Grandma never married again and I have always felt that there was a mystery here. “I have recently contacted a lady whose grandfather was Albert Rance, older brother to Bernard and Charles, and have even got a photo of him. I am not sure about his service career. “My grandfather, Albert Rance, served from 4 July 1914 to 3 July 1934 and was a Gunner in the Royal Artillery Corps for 8 years, and Army Reserve B & D for 11 years. However, my cousin recalls that Grandad spoke to him about being in the Military Police and I do have a postcard of theHMS Balmoral Castle with reference to this written on the back so it could be true – I would need to investigate. “Albert definitely served in India (he loved curry) and Jamaica but not sure at this point where else. He was awarded the British Medal but it cannot be traced. My cousin recalls a story that on his last visit to Grandad in hospital before he died, as he approached his bed he called out ‘Get down – the fuzzy wuzzies are coming!’. This was a reference to some event to do with the war, albeit not very politically correct for this day and age! “When he left the Army he did very simple jobs such as porter and laundry man at Queen Mary’s Hospital in Surrey. He married Rose Kallendar and had 6 children, 2 of which died as infants. I am not sure when he moved from London but he lived in Hallsowen Road, Carshalton all of his married life. He died a widower on 1 September 1968 age 75 following a stroke.